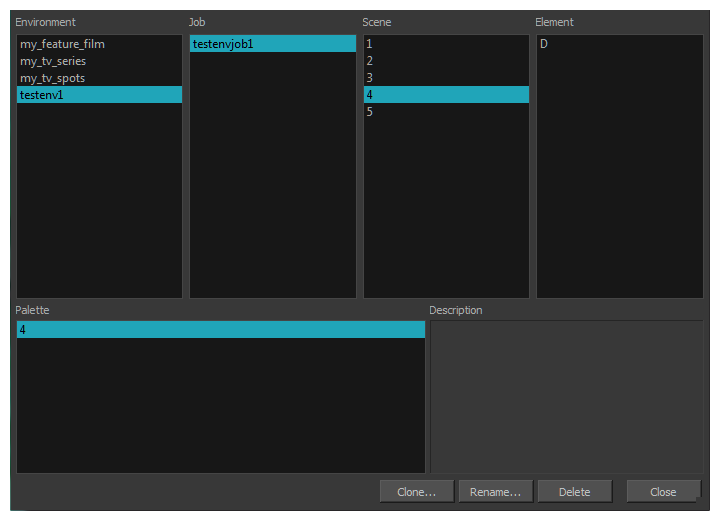 NOTEThe Palette Operations dialog box never makes any change to any palette list in your database. All it allows you to do is manipulate palettes files. You should be careful not to rename or delete palettes that are required by some of your existing scenes, or Harmony will be unable to locate those palettes when you open one of those scenes.